Click Here to suggest a new Panama business listing. Diving resort located on a exclusive private island of 4800 acres of unspoiled virgin rainforest, caves, reefs, rivers and waterfalls, only inhabitated by wildlife. Renowned cousine, excellent service. Located at the Coco Plum resort in the Portobelo area. We offer guided dive trips on our fast 28ft fully equipped dive boat,full PADI courses,equipment rental,scubapro equipment for sale and special charters to the Pacific island of Coiba. 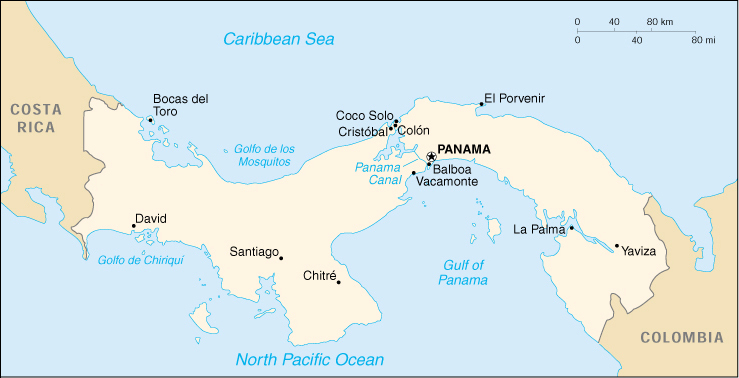 Bocas Del Toro, Panama Rep.